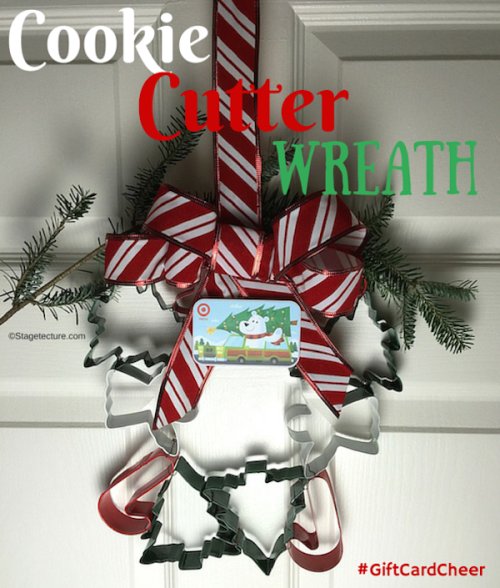 Cookie cutters have so many uses other than the one their name suggests. 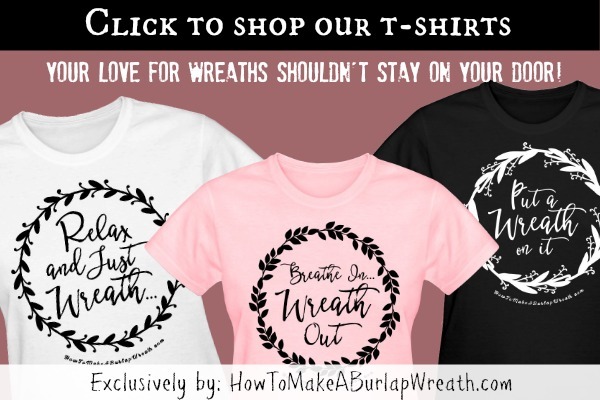 You can use them in many crafty projects, but we suggest creating a unique wreath with them, which would make a perfect gift for any baker you might be asking yourself what to give them for Christmas. 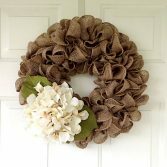 A Cookie Cutter Wreath is simple and quick to make and the things you need are very inexpensive and easy to find. 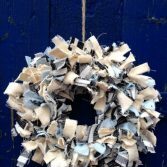 Here are the easy steps on how to make it. 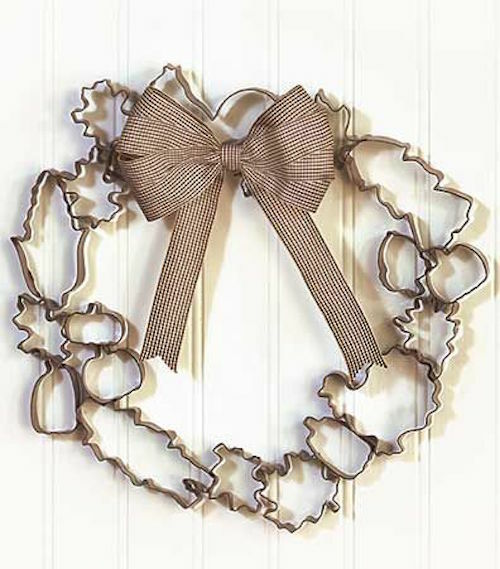 On your working surface, arrange the cookie cutter so they resemble a wreath, cutting side up. 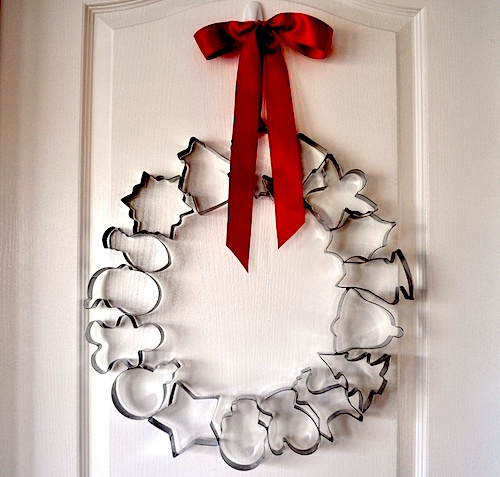 Attach each cookie cutter to the one next to it using a piece of wire or an adhesive putty tab. You can use paper clips for an extra level of securing the cookie cutters to each other. 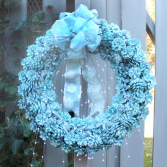 Alternatively, you can use a hot glue gun to glue the cookie cutters, but keep in mind that you won’t be able to easily disassemble the wreath if you would need to use cookie cutters for baking. 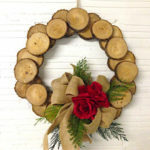 Using a small piece of wire, secure the bow to the wreath and use some ribbon for hanging it, although you can hang the wreath easily from a cookie cutter as well. And you are done already, it really is that easy! 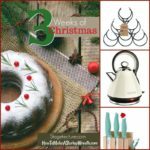 This Cookie Cutter Wreath is a really original and unusual wreath which would look gorgeous in any kitchen, especially around Christmas, but with different themed cookie cutters you can create a wreath for another season as well. Using plastic or colored cookie cutters instead of the usual stainless steel cookie cutters can create a completely different and playful result so think about it. 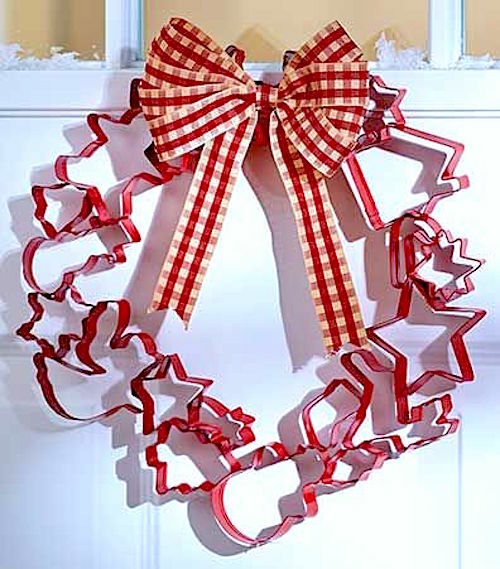 If you don’t want to use the cookie cutters again in a different way, it’s best to use hot glue and you can spray paint them before putting on the bow to give them an interesting twist. 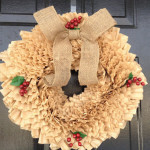 Hot gluing them will provide you with a sturdy wreath which you will be able to use again and again for years to come. 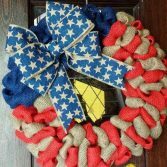 It will make any foodie friend or family member happy and you can even add a favorite cookie recipe to the bow of the wreath to complete it. 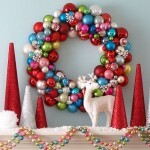 For more Christmas Wreath Tutorials, click here.